Lion hunting is not just a winter past time for us, it’s serious business. These hunts depend heavily on favorable weather conditions, but with good snow cover, success on past hunts has been good. This animal is a highly elusive cat which makes them a prize to be had among hunters. Our hounds are trained and continuously exercised in hunting these sleek natured animals. 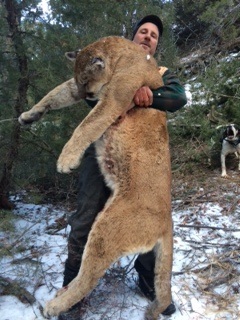 It is truly an indescribable adventure to hunt behind the dogs and enjoy the chase in a beautiful mountainous area. We are permitted for four different areas so we are never at a shortage of places to hunt, roads to run, or tracks to cut. Female cats range in size from 80-110 pounds with the toms reaching 130-180 pounds. 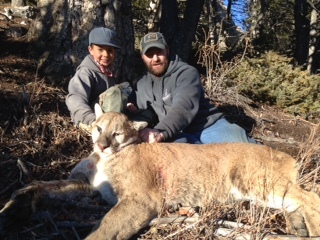 Cougar licenses can be purchased over the counter. 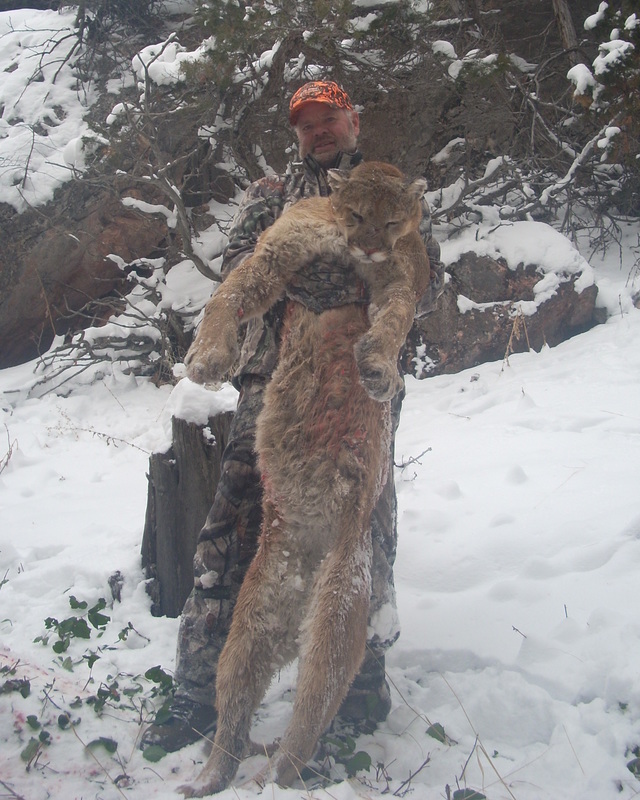 This hunt is operated as a town hunt with lodging and meals being at your own expense. Guides will pick you up and drop you off at your hotel each day. Lunches, snacks, drinks, will be provided in the field. Be sure to bring a camera to record this unique experience.